What are two things that Mr. Frank tells the others that they must do during the day to be sure they will be safe? What are two examples that show rising tensions among the residents of the Annex? Cite evidence from the play to support your answer. How would you feel if our government used a strategy such as this one to control the population? Why would becoming a member of a radical group at such a young age change the thought and views of a child? Why did people tell Renee that Jewish was a bad word? 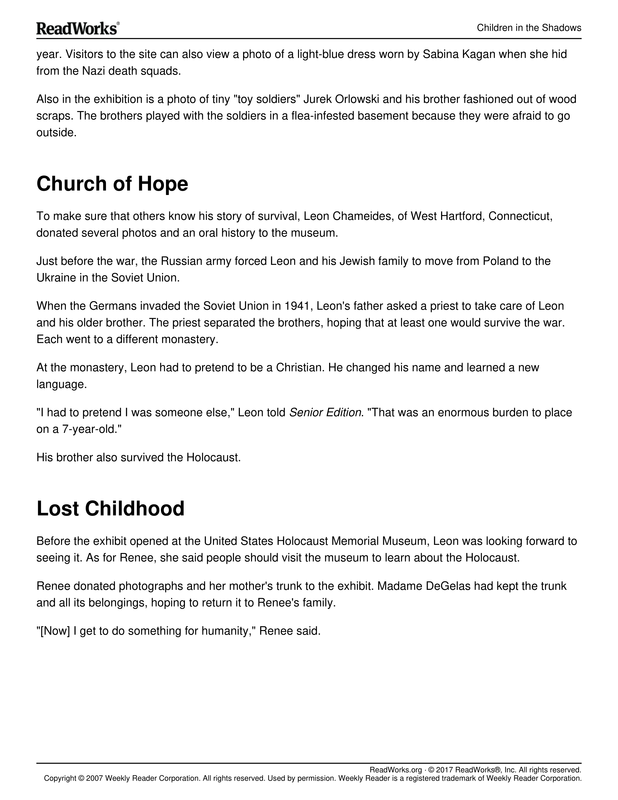 What did Leon Chameides have to do at the monastery in order to survive the war safely? 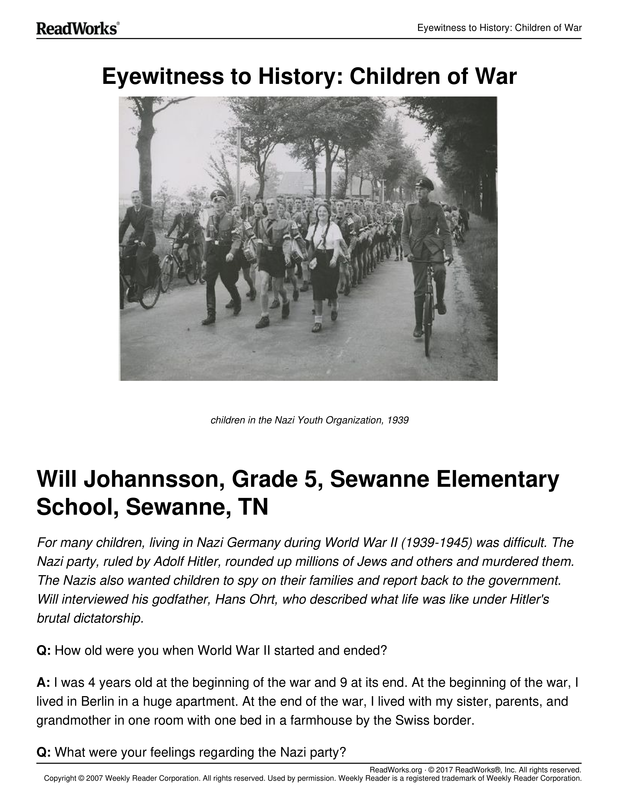 Hans from "Eyewitness to History: Children of War" was not Jewish, but the children mentioned in "Children in the Shadows" were Jewish. 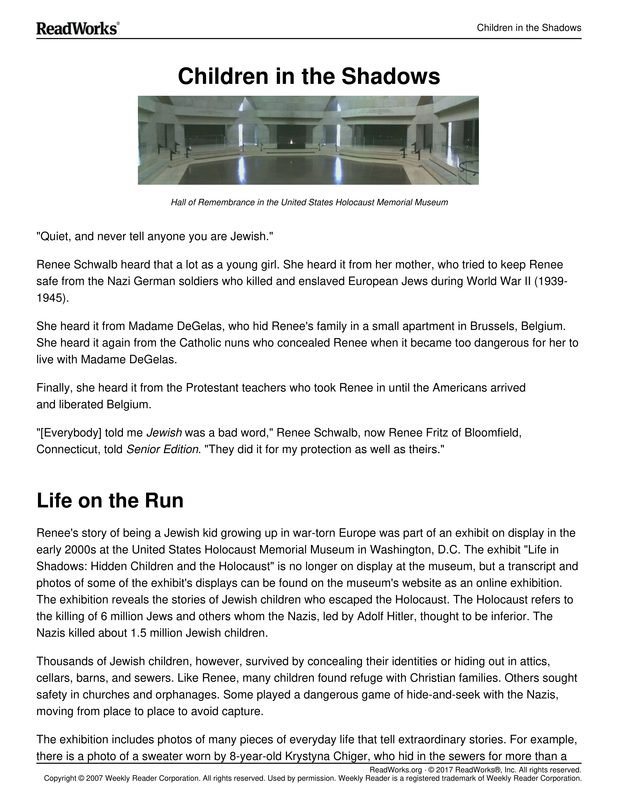 How were Hans's and the Jewish children's experiences of the war similar? 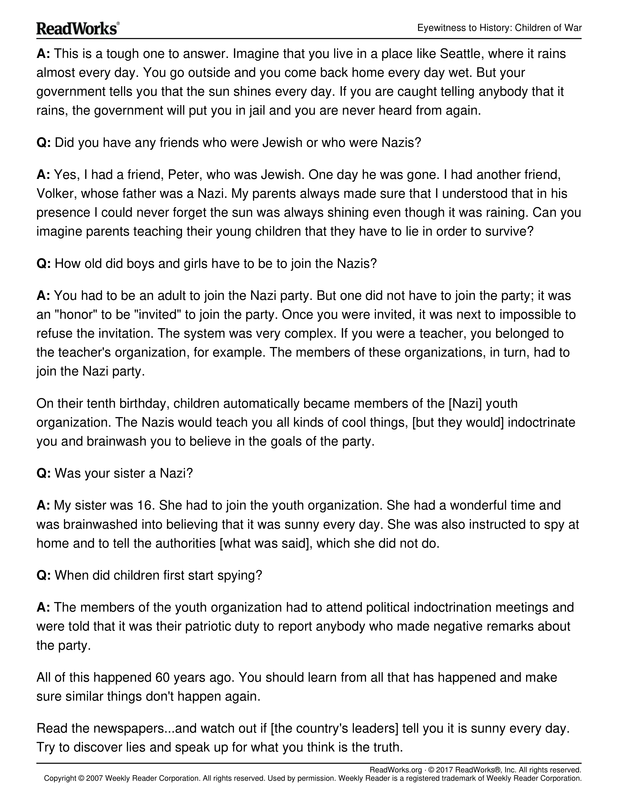 When Hans is asked about his feelings regarding the Nazi party, he answers by comparing life under the Nazi Party to a different situation. What situation does Hans ask his interviewer, Will, to imagine? Why did Hans feel like he had to lie while living in Nazi Germany?